The initial ‘travel ban’ was created with Executive Order 13769, and took effect on January 27, 2017. However, there were multiple questions regarding the legality of Executive Order 13769, and multiple court cases were initiated shortly after its inception. On March 16, 2017, President Trump created another Executive Order (13780), which replaced Order 13769. Both executive orders were created to suspend entry of visitors or immigrants from certain countries on the basis of national safety. The reason this pair of executive orders are colloquially called a ‘travel ban’ or ‘Muslim ban’ is because of the collection of countries affected. Executive Order 13769 reduced the number of refugees to be allowed into the U.S. in 2017, suspended the U.S. Refugee Admissions Program for 120 days (and entry for Syrian refugees indefinitely), and restricted visa applications for anyone from Iraq, Iran, Libya, Somalia, Sudan, Syria, and Yemen. Executive Order 13780 stems from the same starting point as the previous one, but makes a few alterations. Under restricted countries, the new order removed Sudan from the list and added Venezuela, North Korea, and Chad. Almost immediately after Executive Order 13769 was signed, it was put into effect and people began being detained at airports and border crossings. Just as quickly, legal groups reacted and legally challenged Executive Order 13769 on individual, state, and even national levels. There was a lot of confusion over current visa holders, green card holders, and those that hold a dual citizenship to one restricted country (but not both). When Executive Order 13780 went into effect a few months later, it was challenged almost immediately. Because of this, Presidential Proclamation 9645 was put into effect in September 2017, and altered the terms of Executive Order 13780 slightly. There are some case-by-case and categorical exceptions to Executive Order 13780. These include allowing lawful permanent residents of the U.S. (even if they are from a restricted country), foreign nationals that have been granted asylum, and those with valid student visas. However, while Presidential Proclamation 9645 may have loosened the restrictions somewhat, it did put into place the right to perform additional enhanced screenings of nationals from restricted countries. As of writing this post, things regarding the travel ban are still uncertain; the court case Trump v Hawaii is still ongoing. A decision is expected by the end of June. For now, the important thing to note is that nothing about the travel ban is certain. If you have a relative who was affected by the travel ban, meet with an immigration lawyer to see what can be done. 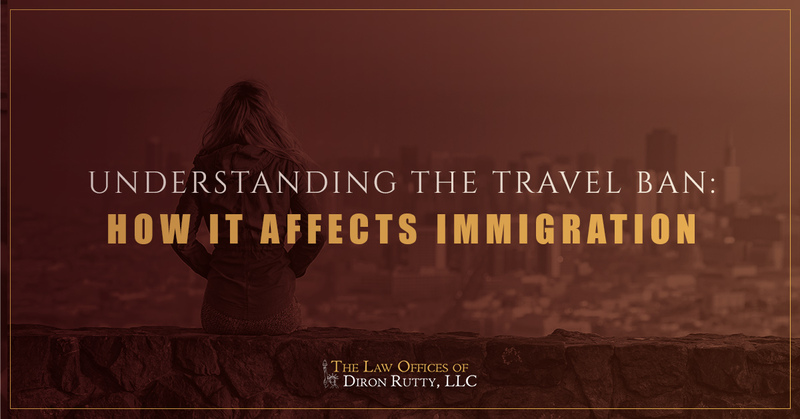 The team at the Law Offices of Diron Rutty in The Bronx is here to help. Contact us today to see how we can help support your immigration rights.